Poor Pipkin has a cold, so he's snuggled into a warm down blanket and down pillow. 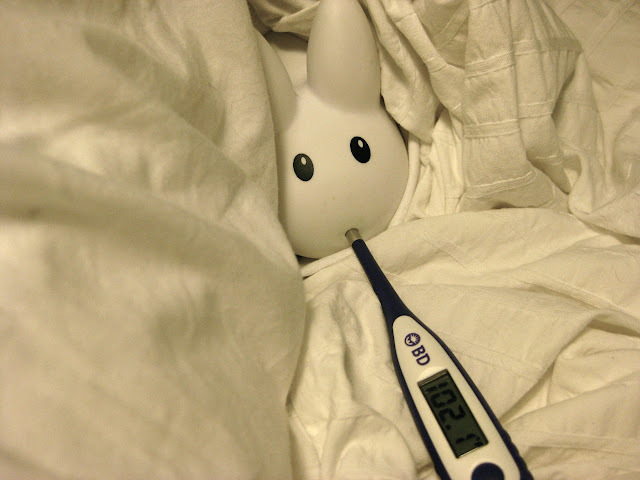 His temperature seems to be fine (labbits normally have a body temperature between 101 - 103 degrees Fahrenheit) but he's feeling really run down and sniffy and has a sore throat. Surely the rest will do him good, as will lots of fluids. Get better soon, Pipkin!